Template for the month of May is Studioshop. This Joomla Template features unique layout and specific design patterns that will leave lasting impression on your website visitors. 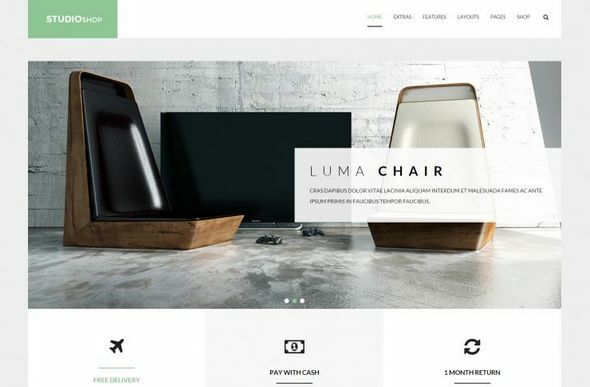 Studioshop Template demo comes with custom design for HikaShop, K2, YJ News Pop, YJ Image Slider, YJ Module Engine and a custom section for your team members or sponsors. As all our Joomla Templates Studioshop is built on YJSG Joomla Template framework that comes with custom sets of tools that you can use trough out your website. To give you some versatility , this joomla template comes with 6 gentle predefined color styles and the ability to make your own. This nifty feature makes Studioshop a template with true unlimited styles. We have also included 9 custom module styles, appealing image hover effects and sticky menu with custom effects.